Virtual Sitter, a system used for patient monitoring, is being developed at Northwestern. 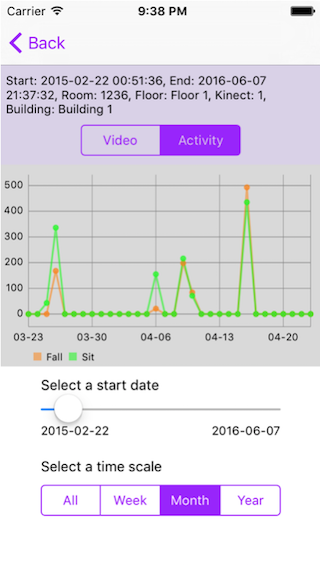 I developed an iOS app that integrates with the Virtual Sitter and enables healthcare providers to monitor patients’ state remotely. Videos and activity data about patients is stored on a server. 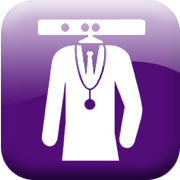 The iOS app can query the server to get information about specific patients, during a particular time frame. This data is then displayed in a helpful manner for the user of the app. 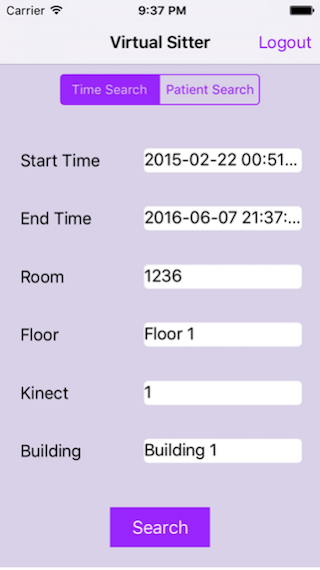 I implemented a search feature for the app that allows a user to search by different parameters, such as time, building and room. 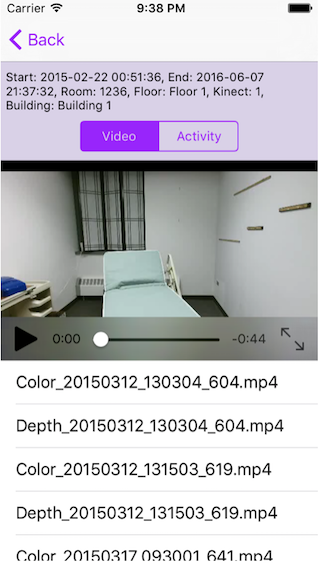 Videos of a patient that match the query can then be viewed. The server also has patient activity data, such as whether they are walking, sitting, sleeping, etc. This information is displayed on a graph. Lastly, I implemented a login and registration system, so that only authorized users can access the app. The app is written in Swift. I used the ReactiveCocoa library for functional reactive programming, which helped me to create view models. Moya is used for networking. The Charts library is used to display activity data. JSON data from the server needs to be processed before being displayed in the graph. PureLayout is used to create Auto Layout constraints.